If you buy to flip, you make your profits when the new buyer closes on the house. 2. Can Monthly Security Alarm Payments Be Deducted From Income Tax? A rental home is an investment property, but it's not the only kind of home investment. 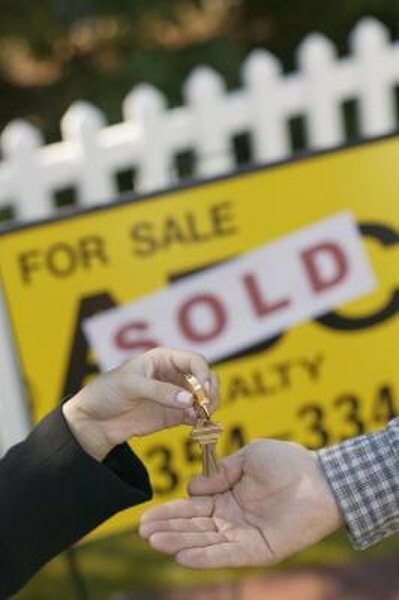 You can also invest in residential real estate by flipping -- buying and reselling property rather than holding it. With a rental, your income comes from the monthly rent checks. Making money off a flip house is all about the sales price. Rental homes draw buyers who want a steady stream of income. The ideal rental home is a house in an attractive neighborhood with good schools. It can be a vacation or second home as well as an investment. While successful rentals are profit centers, rental houses can also eat into your money through repairs, mortgage payments and insurance premiums. If the house stands empty, there's no money coming in, but you still have to pay the mortgage. When you buy a property to flip, you're not looking for one that will bring in long-term income. Instead, the usual goal is to find a house that's underpriced, buy it and resell as quickly as possible. This is often harder than it sounds, as the house may be going for a bargain because it has serious problems. Profits on a good buy can be terrific, but in the short term a flip house can be even more expensive than a rental. If you can't flip as fast as you expected, you still have to pay the mortgage. One advantage to owning a rental property is that it can generate lots of tax write-offs. You get to write off the repairs and yard work and also depreciation to reflect the house aging. Depreciation is a great deal in the short-term, because you can deduct it even though it doesn't cost you money out of pocket. If you manage the property yourself, you can also deduct up to $25,000 in rental red ink from your non-rental income. The taxes on flip houses vary, depending on how active you are as a flipper. If you have a day job and flip an occasional house on the side, you pay capital gains tax on your profits, which can be lower than income tax rates. If you do it full-time, the IRS treats your profits as business income and you pay regular income tax rates. On top of that, you have to pay self-employment tax on your earnings. RealEstate.com: Should I Flip or Should I Rent? Can You Deduct the Difference From Rent to Mortgage Payments for a Rental Property?